Uncertainty in Rivers as 2 commissioners leaves Wike’s within 24 hours – Royal Times of Nigeria. POLITICAL watchers are worried over developments in Rivers State in the past 24 hours as two important members of the State Executive Council, left the cabinet with the period. The Commissioner of Work Bethuel Harrison was inexplicably fired by the State Governor, Nyesom Wike, Thursday afternoon and while the people were still seeking the possible reason for his sack, news filtered into town that his colleague in the Information Ministry, the colourless Dr Austin Tam-George has resigned. 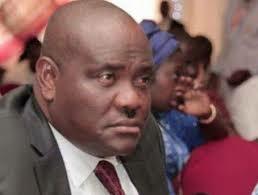 In a terse statement issued on the sack of the Work’s Commissioner, Simeon Nwakudu, Governor Wike Special Adviser on Electronic Media said “Rivers State Governor, Nyesom Ezenwo Wike has relieved the State Commissioner of Works, Mr Bathuel Harrison of his appointment with immediate effect. The Nigerian Tribune reports that the former commissioner has been directed to hand over to the Permanent Secretary, Ministry of Works. Harrison has been one of the busiest Commissioner of the few visible one’s in the Nyesom Wike’s cabinet and has served just one year after his predecessor was also unceremoniously fired. Unfortunately, the two commissioners, especially Tam-George do not enjoy the sympathy of the public especially journalists who are the immediate members of his constituency.